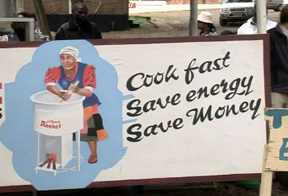 Cooking the Planet: Are biomass stoves in the developing world affecting climate change? A new video from Aprovecho showing step-by-step instructions for building a small, single-pot rocket stove made from sheet metal and insulative refractory bricks. Instructions for making refractory bricks are also included in the video.